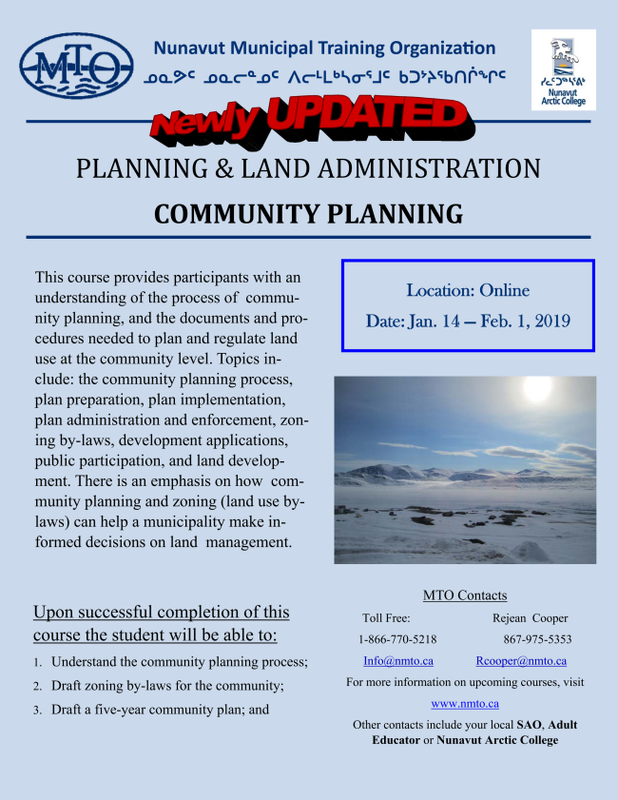 This newly redesigned introductory course explores the basics of community planning and land administration in Nunavut. 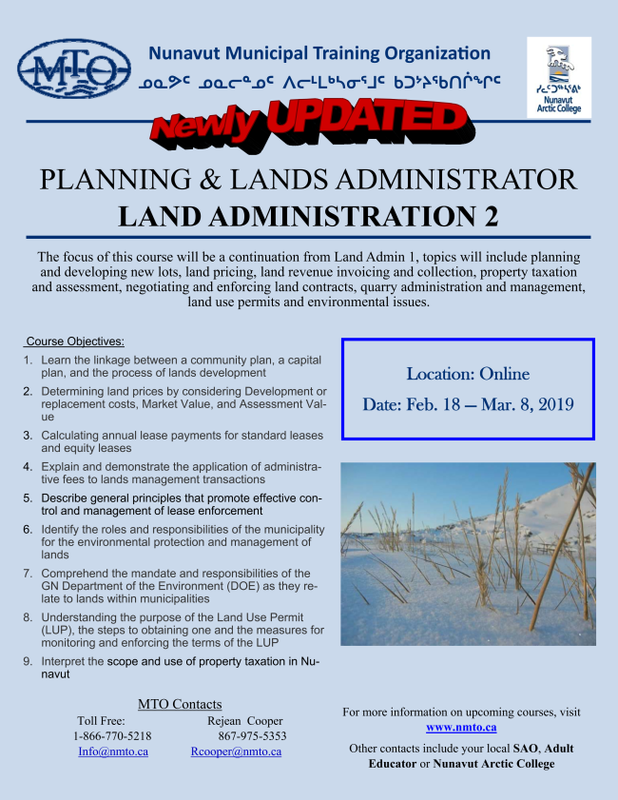 The course will provide an overview of the role of the Planning & Lands Administrator (PLA). 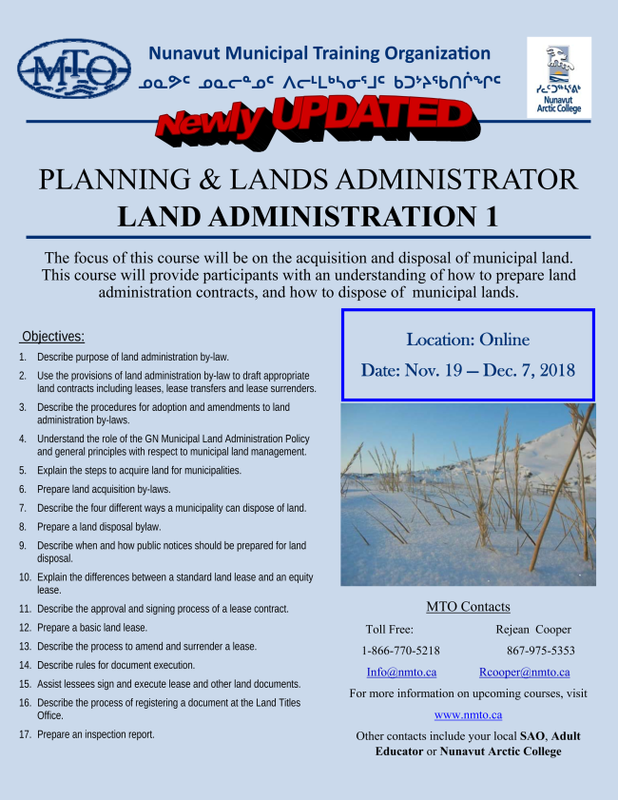 Students will learn how the PLA uses the community plan and zoning bylaw, processes land applications, executes documents, and performs the procedures required to lease and acquire land within municipal boundaries. The course gives an overview of drafting and graphics techniques. 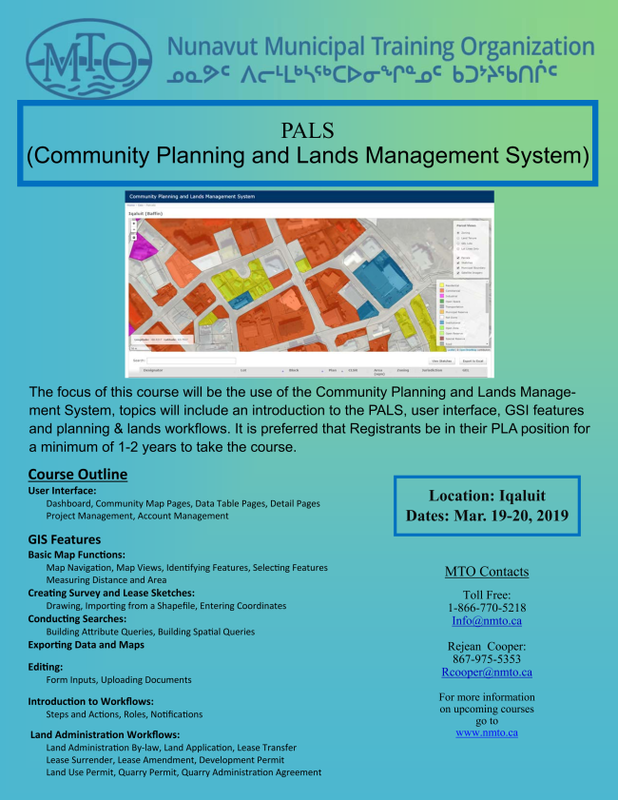 Participants will learn to prepare sketches suitable for lease contracts. The basic & practical elements of surveying will also be examined, including finding the location of legal survey pins and the layout of the building envelopes on typical residential lots.